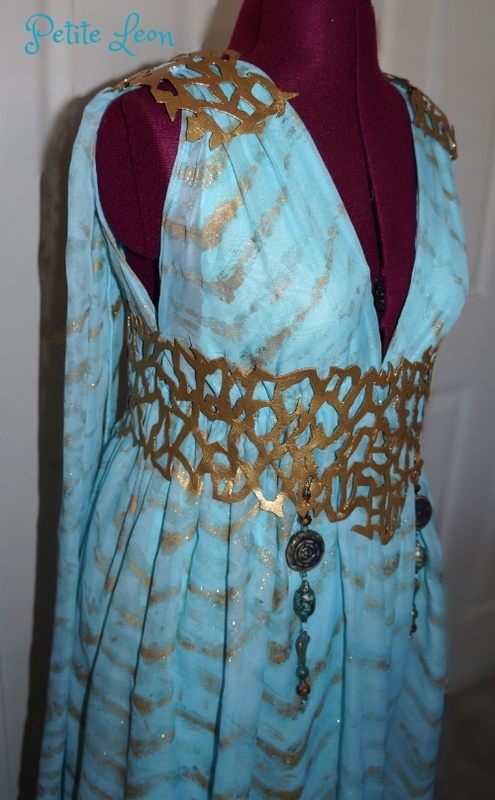 This is a custom made Daenery Khaleesi Costume. 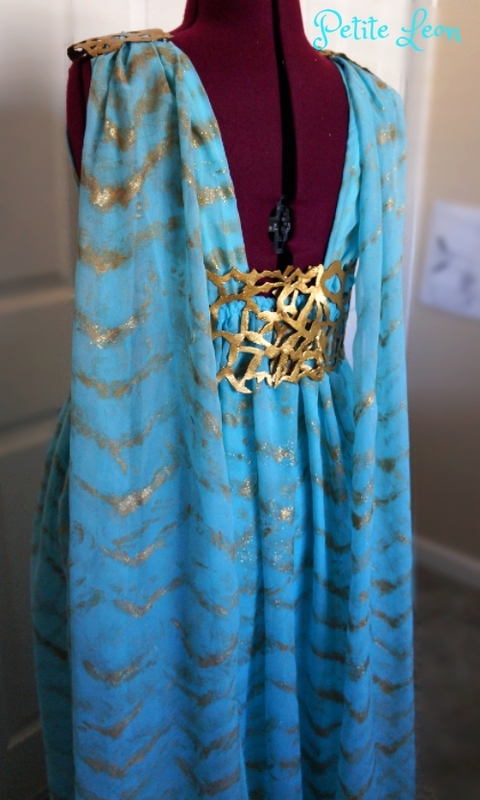 This dress will be made of an aqua blue chiffon fabric and the belt will be made from a gold vinyl fabric. 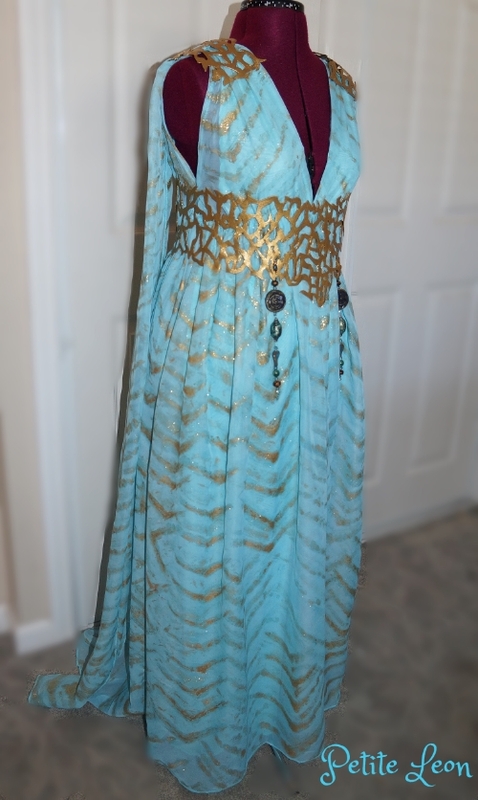 The dress is hand painted in gold tiger style stripe throughout, just as shown in the photos. I recomend hand washing the dress and belt. Price includes shipping with tracking. If you wish for additional signature confirmation and additional inssurance please message me.